Good cooking is about good ingredients - and this book shows food lovers how to get the very best from their raw materials. You'll discover how to choose the freshest produce for seasonal dishes, source unusual ingredients, use the right preparation and cooking techniques, and pair foods to create exciting new flavours. Find out the best way to wrap brie; what the freckles on an apricot tell you; which sustainable fish to buy instead of cod; an authentic recipe for guacamole, and much, much more. 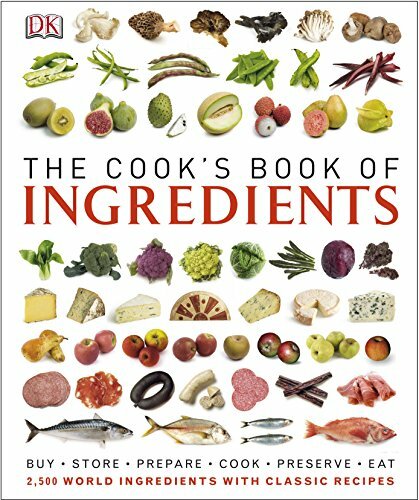 Written by a team of global food experts, The Cook's Book of Ingredients showcases 2,500 key ingredients from around the world and features 250 truly classic recipes, from pesto to peach melba. For anyone who appreciates good food, this has to be their new kitchen companion.